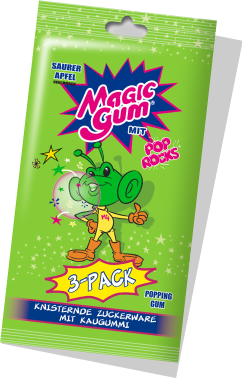 Magic Gum | It is magic bubble gum that pops in your mouth! 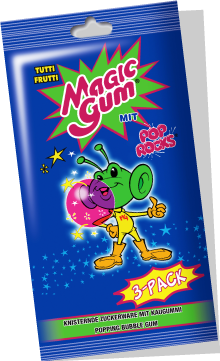 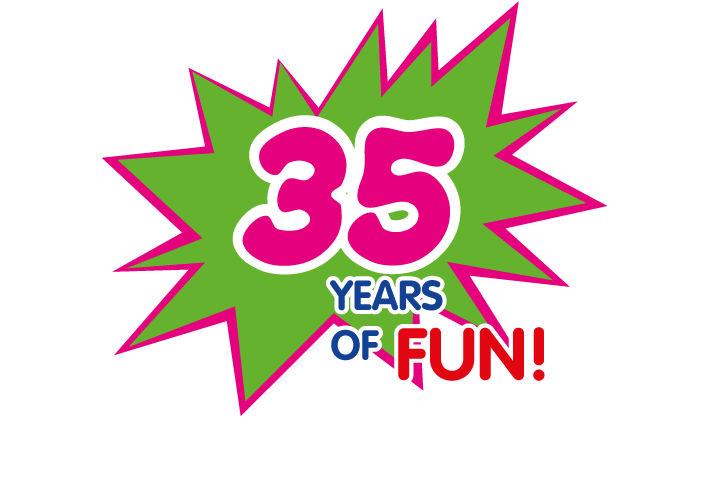 Magic Gum® tastes like fun! 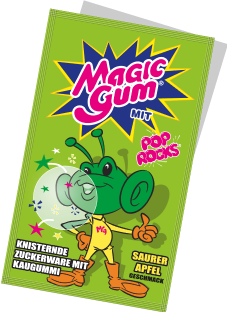 Pop Rocks® are small pieces of hard candy that have been gasified with carbon dioxide bubbles. 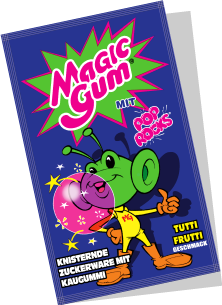 When these gasified sugar granules come in contact with moisture, in someone’s mouth or in water, milk, soft drinks, etc, the candy dissolves and the gas retained inside the carbon dioxide bubbles is released, causing characteristic crackling and fizzing sounds.